Emulsifier in skin creams, gels, shampoos, and as a skin softener. And it nourishes and protects your skin from environmental elements. It is an anti-tissue, and effective against halitosis, the formation varicose veins.Irish Moss , when mixed to body lotions, turns your dry, rough, patchy skin into smooth, silky, hydrated, glowing skin . It moisturizes and treats even the most unmanageable skin problems , including eczema, psoriasis, rashes and sunburns . It supports skin’s natural moisture barrier-keeps harmful, drying external elements out and beneficial moisture in. Helps support healthy skin appearance. Irish Moss contains A,B,C,D vitamins that nourishes the skin In addition to its functional benefits. Raw Irish Moss is an excellent source of minerals. 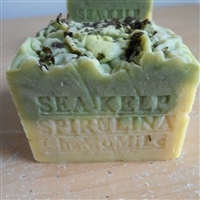 This almost-tasteless seaweed is loaded with life-enhancing nutrients such as sulphur compounds, protein, iodine, bromine, beta-carotene, calcium, iron, magnesium, manganese, phosphorus, potassium, selenium, zinc, pectin, B-vitamins and vitamin C.
Irish Moss helps to soothe skin conditions such as eczema, psoriasis, dermatitis, sunburn, and chapped skin.